Skin Secrets: OCM - Filosophie! If you haven't heard of the Oil Cleansing Method before, I know exactly what you're thinking. OMG GET THAT OIL AWAY FROM YOUR FACE, ARE YOU CRAZY?! Well, yes, I am. A bit. But regardless, oils can be good for your skin! DON'T BE AFRAID! I started using this method about.. four years ago? I'm not sure exactly but it's been a long time. I started in an attempt for it to get rid of my acne, it never did cure my acne (though if your acne is because of clogged pores this may help, mine was due to hormones) but I still continued to use it. I don't have to worry about acne anymore really but I still love it because it's just too awesome. Meet me a year ago! It's a mixture of oils that will not only take your makeup off (easily), it also moisturizes as well as other benefits depending on what oils you use. I know some people have issues taking off foundation (Colorstay for example, I hear is quite the toughie to take off since that stuff LASTS -which is amazing!) and/ bb cream. A lot of people complain about bb cream breaking them out and I suspect it's because some just aren't getting it all off. OCM will help you remove your make-up as well as make your skin less oily if you have oily skin (hey, what fights oil better than oil?!) and if you have dry skin, it helps moisturize! TAKE YOU MAKE-UP OFF EVERY NIGHT!!! If there was something I'd say is the NUMBER ONE thing to great skin, it's this. Don't think that just because you've been sweating and can't see any foundation left on your that you're in the clear. You're not, there are still remnants and you're clogging your pores (as well as aging it!). I keep cleansing sheets near my bed for the nights I go out. I know you're tired( and/lazy, it's hard to get into routine if this isn't something you normally do) and just want to sleep but it's not worth the breakouts! Derms don't all have the same opinion but from what I've researched, I believe this explanation. Do your own research though if this is something that you're interested in! Ah, I digress, back to OCM! I do a double cleanse. What this means is that after using the oil cleanse, I use my regular cleanser to wash off the oil (you can, alternatively, steam you face with a hot towel, but I like things quick at night). This is the "recipe" I use to make my oil cleanser. For reference I have normal/combo skin, depending on the season. I've linked to the same brands I use for the ones below. Olive oil is so easy to get and I've used different brands. 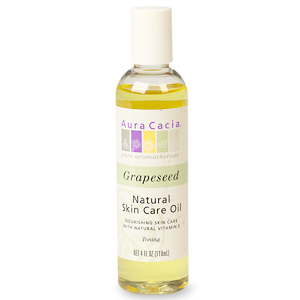 GRAPE SEED OIL - great for sensitive skin! 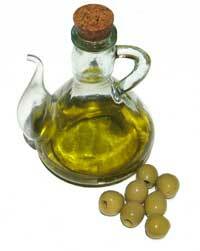 CASTOR OIL - most important, this is what's going to really help remove your make-up! There are many different oils you can use, so just do a bit of research to see what's good for you. There's almond oil, sunflower seed oil, vitamin E oil, coconut oil...etc so many! What do I store my mixture in? I put my oil mixture in an old Kose Softmyo oil cleanser bottle. I bought this after reading such amazing reviews but I found that this didn't do half the job my DIY oil cleanser does. I should add I never fill the bottle to the top, I usually just fill it up a third. Let's do a price comparison shall we? Bottles of oil-> $15+, depends on the brands/sizes. For at least a years supply. Actually, the only thing I've had to buy more than once is olive oil and that's because I use olive oil for so much (cooking and hair treatments), the others I've only purchased once (though I switch up my oils, however olive and castor oil are always a staple). SO YOU'RE ALSO SAVING MONEY! I use The Body Shops tea tree oil cleanser after as my night cleanser. 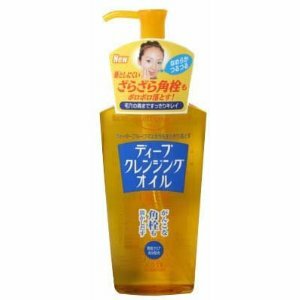 Do you use an oil cleanser to remove your make-up? If not, how do you feel about using oils for your skin?